When I was in the second or maybe third grade I happened to have the chicken pox on Valentine’s Day. In order to sooth her feverish and itchy child, my mother painted a calamine lotion heart over each pock. Knowing my mother’s sense of humor, this gesture was probably one part love to one part ‘hey, wouldn’t it be hilarious if I painted hearts all over my kid.’ A little sweet and a little tart; an apropos description of my feeling about Valentines Day in general. There are tons of romantic chocolate recipes out there. 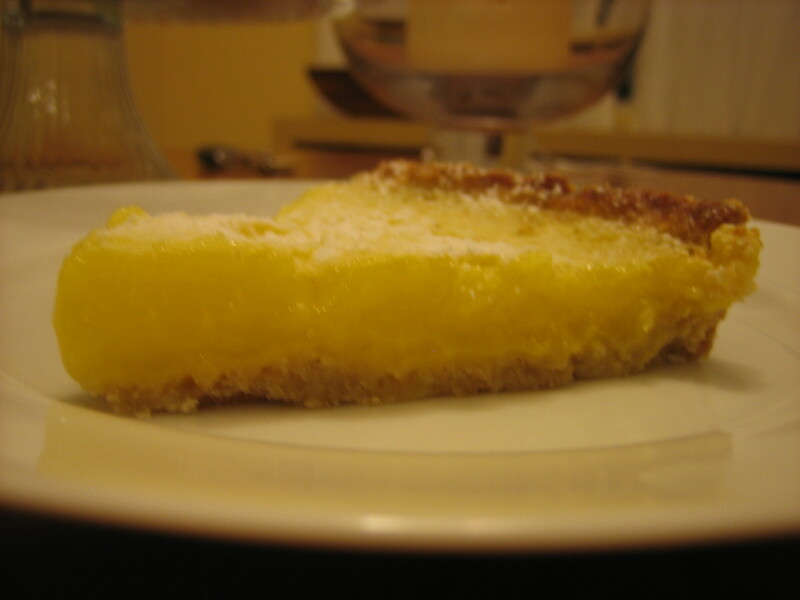 So, I thought I’d offer up a little something for those of us who subscribe to a tartier brand of love: the Longfellow Lemon Tart. A couple of years back, I went through a phase whereupon I was near obsessed with lemon squares and tarts. From this phase came the following recipe named for the street where I lived at the time. This recipe starts with a removable ring tart pan and, of course, parchment paper. Be sure to butter the pan well. 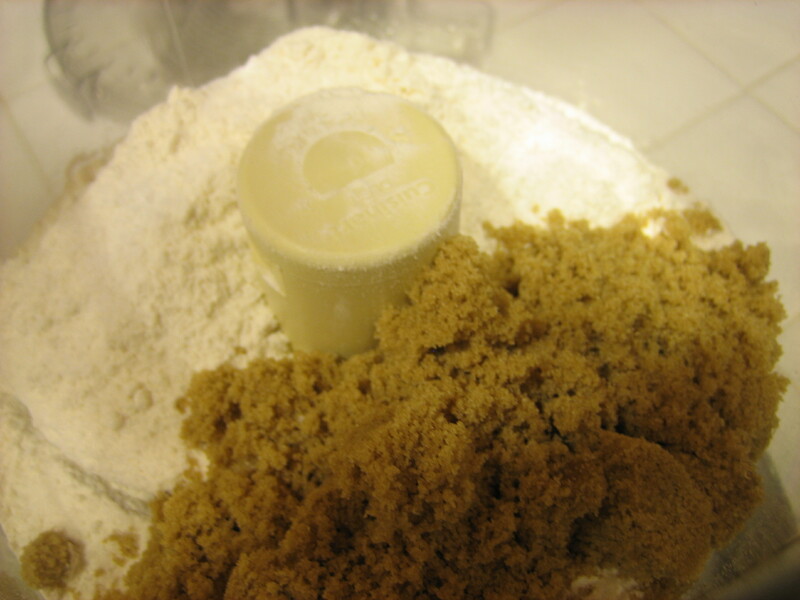 To make the shortbread crust, just pulse. Add butter and pulse some more. Until you get sand. You can actually also use a blender for this as well. 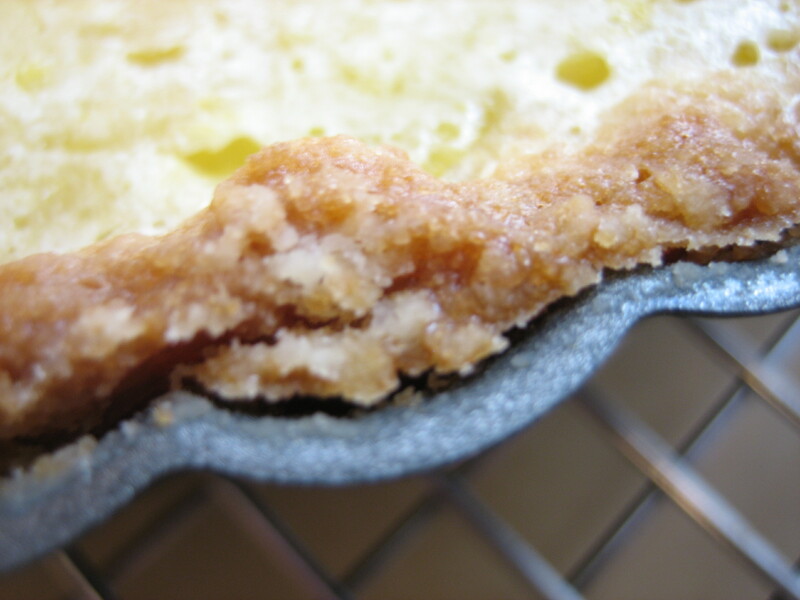 I know because when I started making this tart years ago, I didn’t have a food processor. But, I did have a blender. 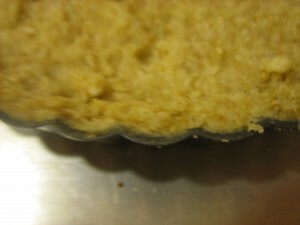 Then, very carefully and with much patience (just like love), mold the crumbly dough into the pan. Yes, this is a pretty horrible picture but it’s the only one I took. Then, into the oven to bake. While the sand is transforming into shortbread in the oven, it’s time to make the custard. It starts with the zest of a lemon. 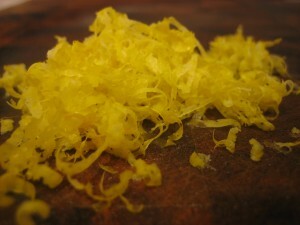 Let me tell you, fruit zest is some pretty magical stuff. Perhaps it is what cupid dips his arrows in. Whisk together eggs, sugar, lemon juice and zest. 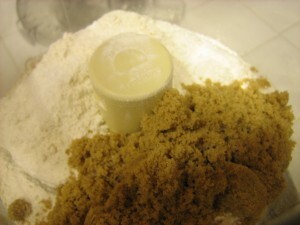 Just about the time you are done mixing, the crust should be ready to come out of the oven. Now comes the tough part–filling the crust and getting it into the oven without spilling it. Here is how I do it. 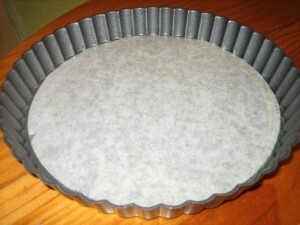 About halfway through the baking process, add a baking sheet to the over to warm. When the crust is brown, remove both and place the tart pan on the sheet (don’t forget it is hot). 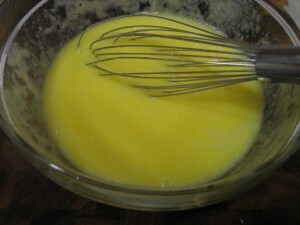 Then, pour the custard into the tart pan and, with a steady hand, transfer the whole party back into the oven. Bake until it just jiggles. And the crust is golden brown. Let it cool. Then, loosen the edges with a butter knife. Take a deep breathe and remove the outside ring. 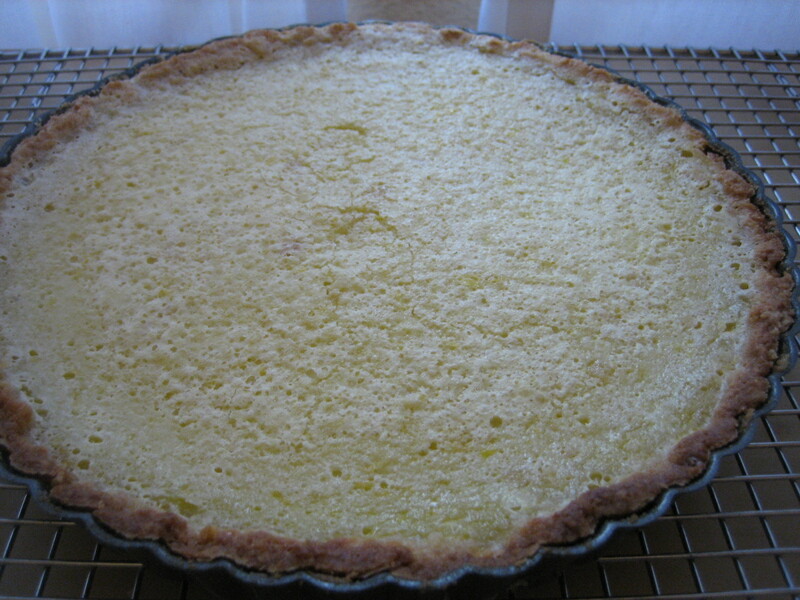 All this tart needs now is a little powdered sugar. 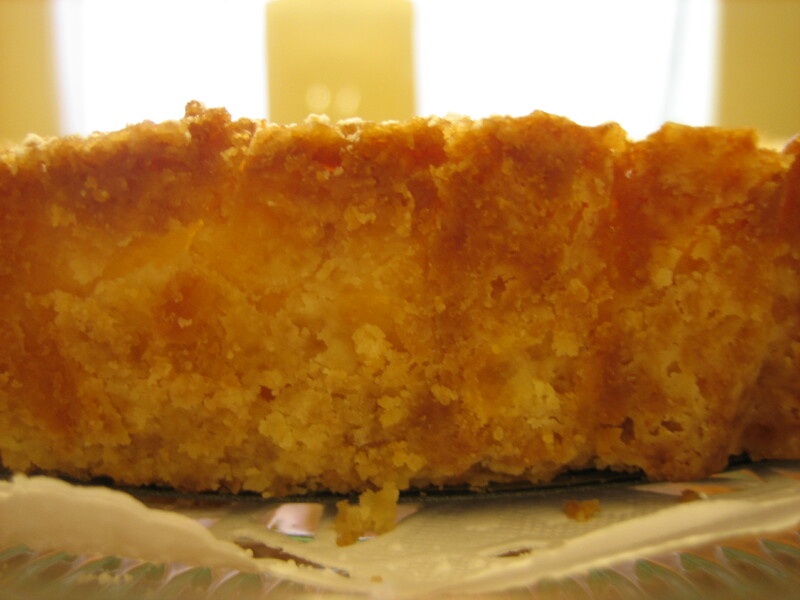 Luckily for my household, this tart is best eaten the day it is made. At least that’s the excuse we are using for scarfing down most of it immediately. Butter and line with parchment 1 tart pan. 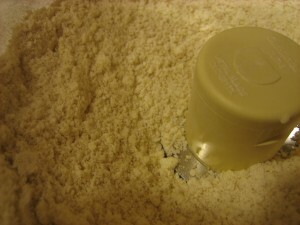 Pulse dry ingredients in food processor to blend. 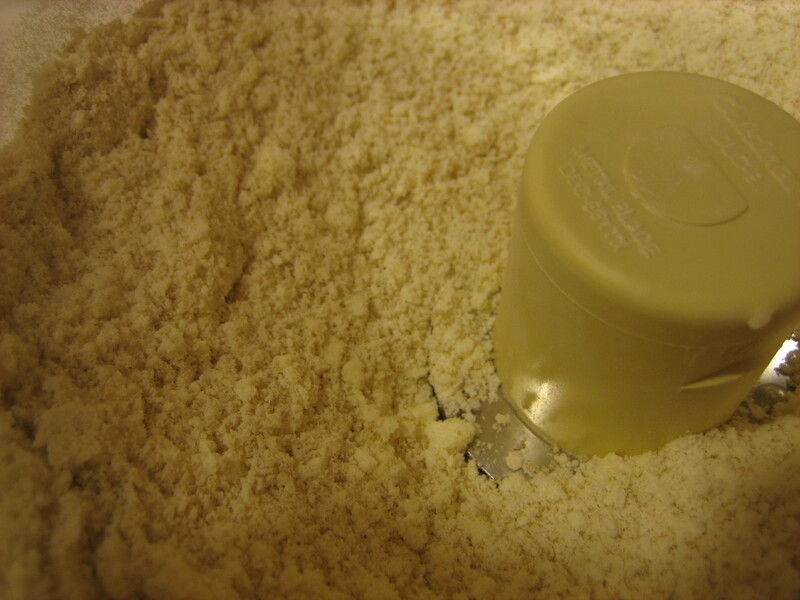 Pulse and add-in cold butter until the mixture resembles sand. Slowly mold shortbread “dough” into tart pan until bottom and sides are evenly covered. Bake for 15 minutes until light gold. 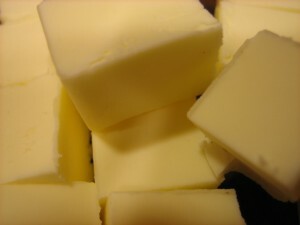 Bake for 20-25 minutes or until filling jiggles. Previous Previous post: French Macarons, part I of ?? ?